In spite of our heat and smoky skies, the change in light is signaling that autumn is not much farther ahead of us. As we wind down and get ready to shift gears into the next season, I am taking some time to look back at some of my favorite moments from June-August. There are so many, I needed to break it down into digestible bits and pieces. 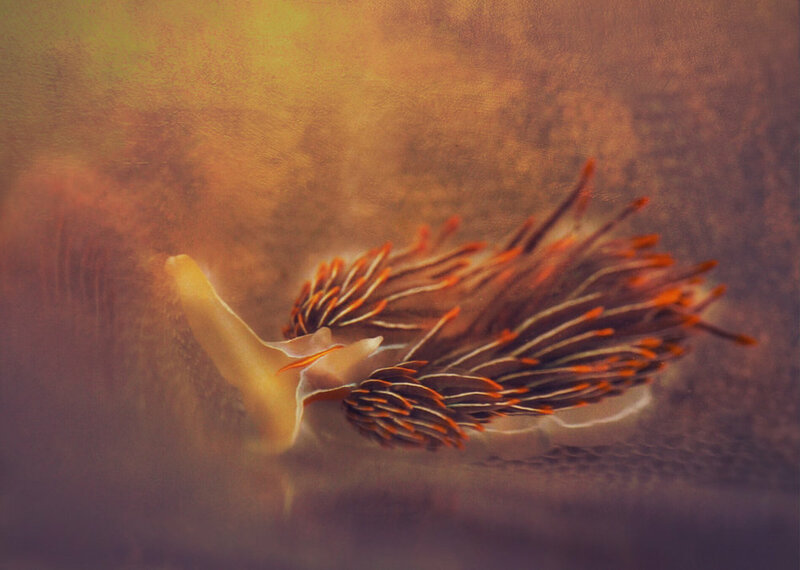 Dendrontus venustus, the Bushy Backed nudibranch. Spotted at Constellation Beach in West Seattle early on in the summer. Eubranchus sp. with eggs, hanging out on its favorite food, hydroids! Spotted at Constellation Beach in West Seattle early on in the summer. 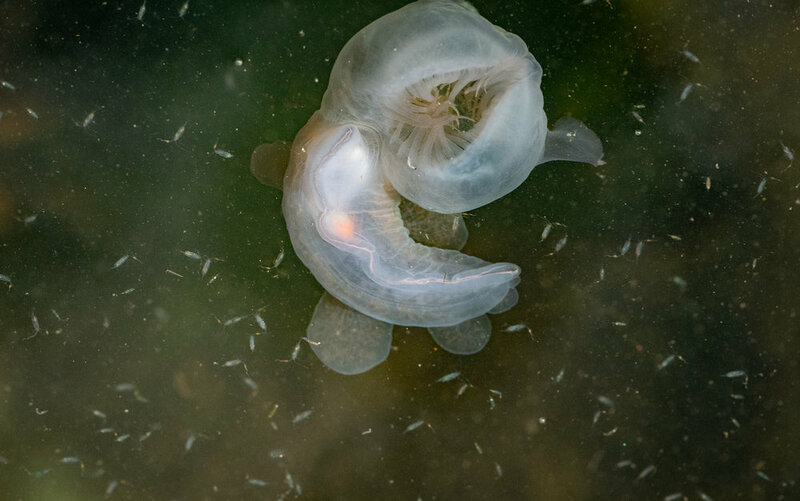 Hooded nudibranchs (Melibe leonina) were a highlight of my summer. I had been hoping to see one in the wild for years and this year I had the pleasure of seeing them twice. The first time was on my birthday in the San Juan Islands. Several large ones, about 4" in length, were swept into our cove with the tide. They were gorgeous and happily feeding on the abundance of copepods in the water. 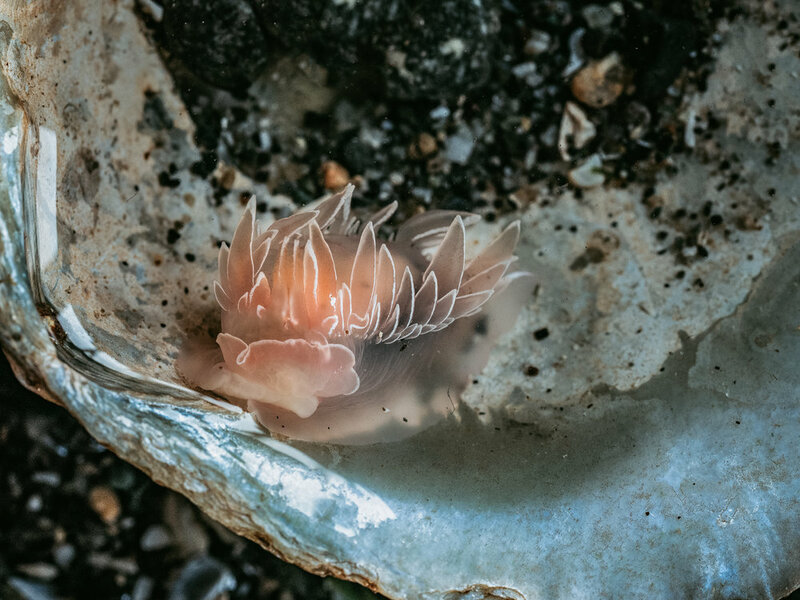 I have said it before and I will say it agin, White lined dironas//Dirona albolineata are my favorites. So elegant. So many Leopard Dorids//Diaulula sandiegensis this summer on West Seattle beaches. Eep! Cuteness overload! 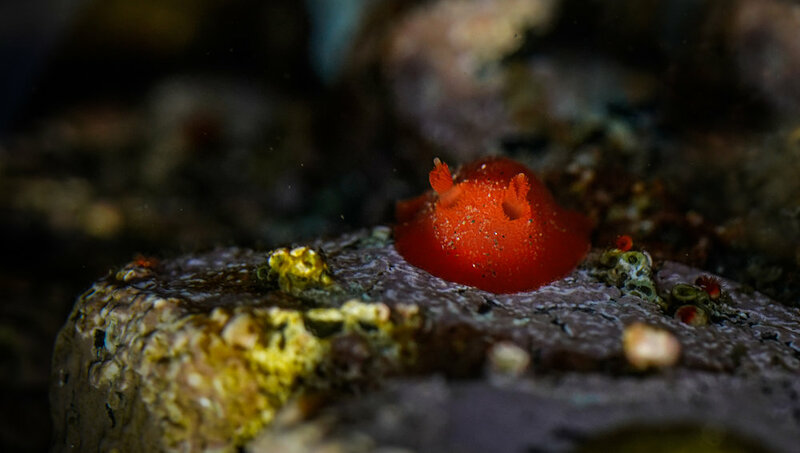 Red Sponge Eating Nudibranch//Rostanga pulchra on the Olympic Peninsula. 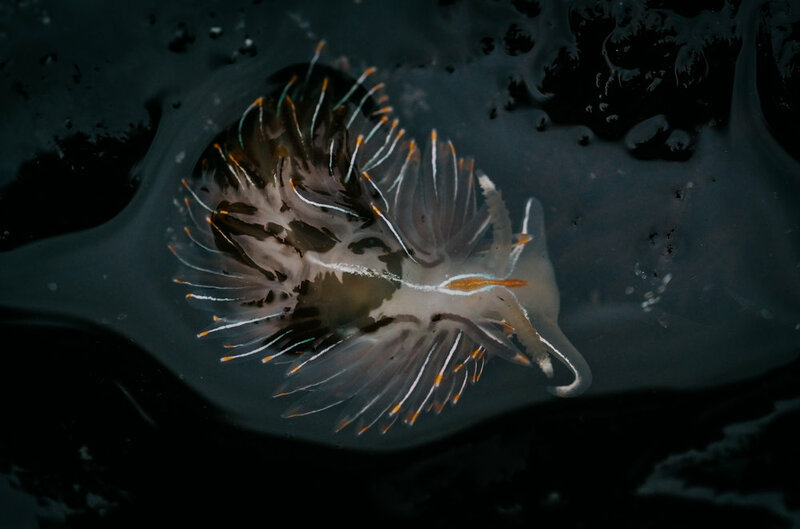 Biggest Clown Nudibranch//Triopha catlalinae I have ever layed eyes on. Must have been 5" in length! Marina at Friday Harbor, San Juan Island. 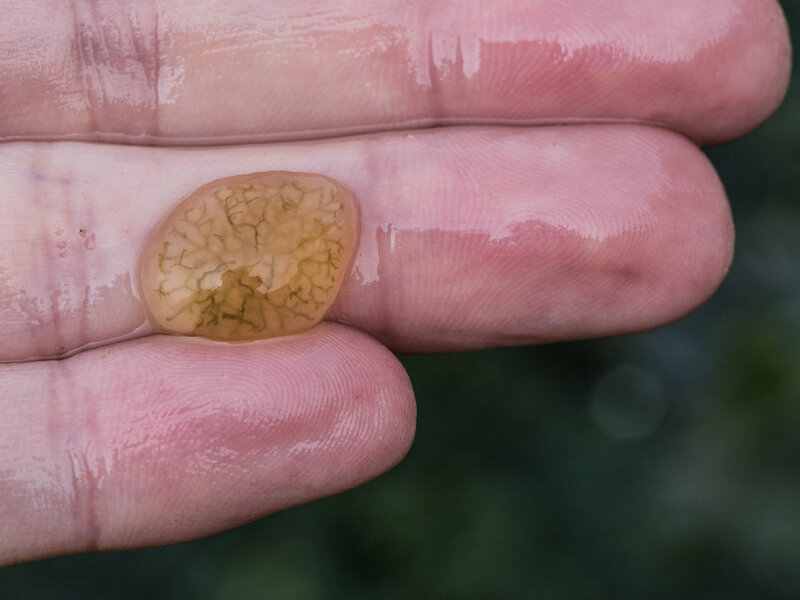 Noble sea lemon//Peltodoris nobilis. Rear view of beautiful gill plume.